Before we begin, I always toss Pete a few ideas for next year - he probably doesn't see them but I do it anyway. So here goes. A Creature from the Black Lagoon cigar with a candela wrapper, a culebra in honor of John Carpenter's The Thing, a big perfecto as The Blob. Okay - that will do for this year. 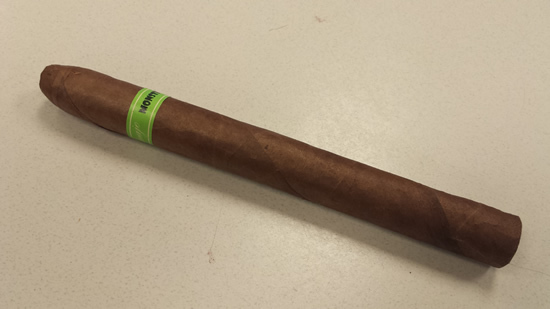 Construction: I admit, I was expecting a much darker cigar with this release. The pre-release photos from last year - and you can see a side by side comparison of that one with the production release on Halfwheel's review - show a very dark wrapper. The production release is a nice medium brown with that usual set of dark streaks you find in Sumatra wrappers. No seams. No veins. Gorgeous bullet shaped cap. The band is a reverse of last year's Jekyll - bright green with cream and black lettering. 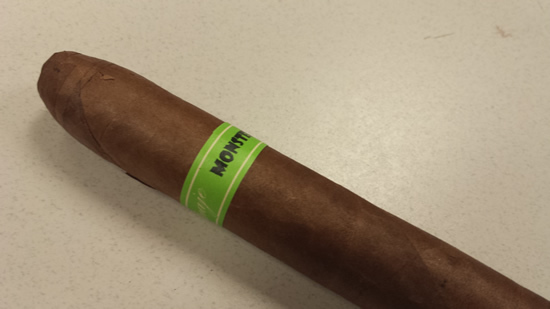 Overall, a nice looking cigar - as the Monster Series always is. Pre-light Aroma and Draw: Out of the cellophane, I get a hefty notes of sweet tobacco, mild barnyard, leather, and oak. The draw is just right with a little resistance and a cold pull gives heavy tobacco and oak flavors. Light and Burn: Not even a hitch from start to finish - which is par for the course with the Monster Series. Tasting: Staring off, the Hyde gives a touch of sweetness that, because of the Halloween theme, feels like candy. A peppery undertone dominates but doesn't overpower with a nice leathery core at the center. The smoke from this cigar is wicked aromatic. I actually smelled vanilla and coffee as the rather copious cloud of smoke engulfed me. Coffee, cocoa, and some oak start to play around with the peppery leather core too. Very complex with a lot of changes in flavor so far. As the second third arrives the flavors take a slight shift. The pepper drops almost out of sight and the core takes off with oak and some cedar instead. Notes of bread, almond, bittersweet chocolate, and a touch of vanilla dance around the core. At times the exhale turns almost minty too....I have said before, I don't know how Pete does what he does....but I am glad he does it so well. The final third introduces a creamy smooth texture on the palate. The pepper jumps up a touch and takes on a more red pepper note with a husky dark coffee note. I think I would be safe in saying that the cigar becomes more aggressive as its namesake would indicate. The coffee note does dominate a bit - and it is good old fashioned black coffee like my Grandma makes. Always a plus in my book. A few more notes creep in from puff to puff as well - orange peel, a nice floral flavor, and a touch of cream. Outstanding, folks....outstanding. Final Thoughts: Is this the best Monster that Pete has ever put out? A strong argument could be made in favor is that. For my money it is still the JV13 from 2013 followed by the Wolfie from last year's Pudgy Monster set, but the Hyde is right there with them. 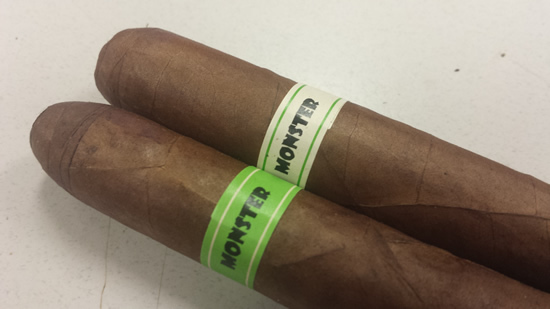 The Monsters always and I mean always do better after they sit in your humidor unmolested for a few months too - so I will certainly be doing a re-review this winter. For now, I can say that the Hyde is the best Monster out of the gate - if you can find them, smoke some and hoard the rest. Very highly recommended. Color comparison with last year's Jekyll. I definitely got a minty flavor from this one, which I really liked!